This delightfully aromatic spice powder is the basic ingredient used in making “Sambar” a popular vegetable and/or lentil based gravy. Sambar powder, like many other spice powders can be prepared in advance and stored in an tight container…comes in handy when required! Our take: Prepare the required quantity fresh when needed!! To make 1 litre of sambar, approx. 2 tbsps of sambar powder is required. For longer shelf life of any spice powder it is advisable not to include dry coconut while making powder. Instead it is better to grind dry fried dry grated coconut with just the required quantity of spice powder used while preparing the dish. 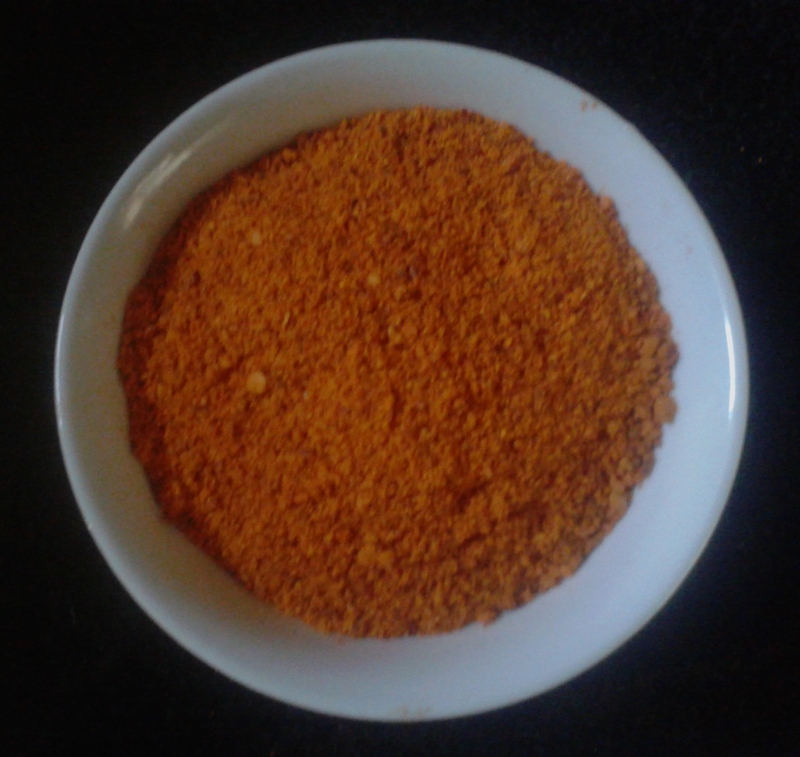 Alternatively raw grated coconut can be used for grinding with this powder while making sambar. View “Onion Tomato Sambar” recipe to see how this powder is used.